Wednesday, in Figaroscope, Emmanuel Rubin covered 5 places awarding a rare 3/5 hearts to Affinite, a sister restaurant to Alliance, which is located at 52, blvd St-Germain in the 5th, 01.42.02.41.71, closed Sundays and Mondays which as 29 and 50 menus, 50 E a la carte, serving such items as foie gras raviolis, veal and panna cotta. Garnering 2 hearts was the Japanese Hara-kiri Ramen in the 10th and one heart went to Pedzouille la Bassecour in the 2nd, Les Fines Lames in the 18th and Au Coin in the 17th. In his Hache Menu he wrote about Top Chef Jean Imbert's Mamie in the 16th. Alice Bosio wrote about the conversion of Chez Jenny in the place de la Republique to a second Bouillon Pigalle. Wednesday as well, Heidi Ellison in Paris Update went back to the established Quedebon in the 19th where she liked the new chef and owner. Thursday, in L'Express Styles Charles Patin O'Coohoon rated 3/4 Les Pères Siffleurs, 15, rue Gerbert in the 15th, 01.48.28.75.63 closed Mondays which costs about 40 E a la carte. Francois-Regis Gaudry reviewed the previously mentioned Lomben. Sunday, in the jdd, Aurelie Chaigneau reviewed the Taiwanese Foodi Jia-Ba-Buay in the 2nd (7/10), 6 Paul Bert (8) and Jaja (6). Wednesday, in Figaroscope, Emmaluel Rubin judged 4 restaurants 2/5 hearts: the previously mentioned Adjuge in the 9th; the pizzaria Uno in the 1st; the epicerie Gramme in the 3rd; and the tapas bar Boca in the 9th. Garnering one heart was the Cafe Coco in the 17th. His Hache Menu covered the Asian Wagamama near St Lazare. The Dossier this week by Alice Bosio covered the Paris food extravaganza this week. In addition, Heidi Ellison wrote up the previously mentioned Robert in the 11th in Paris Update. Reviews of reviews: The week of March 7th, 2019. Wednesday, in Figaroscope, Emmanuel Rubin gave 2 hearts to three places - Paulette, 52, ave de Le Marne in Asnieres, 09.54.37.74.15, closed weekends and Monday night, where a la carte runs 28 and 38 and lunch 16.90€ for items such as winter vegetables, magret and poached pear; Sadarnac, 17, rue Sainte Blaise in the 20th, 01.72.60.72.06, closed Sundays and Mondays, where for 25 and 37 at lunch and 35 and 57€ at dinner for 2, 4, 3, 5 dishes, one dines on items such as cauliflower soup, veal and a Paris Brest and the Chinese Petit Bao in the 2nd. Garnering one heart was the fast food Poulet Rouge in the 17th and out of the running was the second Inaro in the 9th. Rubin's Hache Menu covered the Japanesey RAN. 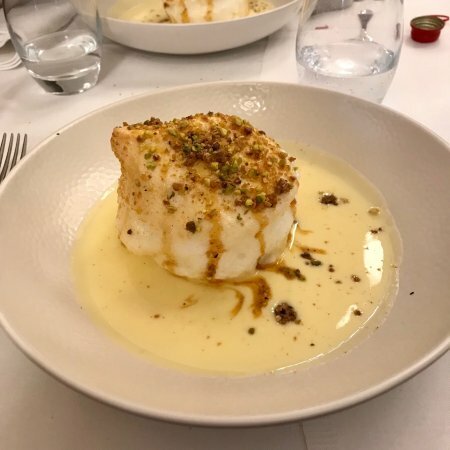 The big news was that Ducasse has taken over Adjuge at Drouot, open 11-18, except Thursday’s, 9 pm, not on Sundays but if sales on Saturday serving items such as oeufs mayo, a blanquette and floating island. The Dossier wrote up the rue des Martyrs in the 9th. Heidi Ellison, in Paris Update, reviewed the Venetian Il Bacaro in the 11th. Thursday, Francois-Regis Gaudry gave the previously mentioned Joia 2/4. Wednesday, in Figaroscope, Emmanuel Rubin reviewed five places, giving 3/5 hearts to the Asian fusion Fanfan in the 17th and the Italian Pastificio in the 3rd. Getting 2 hearts was the previously mentioned Early June in the 10th and one heart to Stephane jego's Ground Control in the 8th as well as Jinao Buns in the 6th. His Hache Menu covered the Greek Ya Ya Secretan. Heidi Ellison in Paris update liked the previously mentioned Astair. Finally Thursday in l’Express styles, Francois-Regis Gaudry awarded 2/4 to the Franco-Lebanese Hebe and 3/4 to la Vierge.